When TCF opened its first school in Minhala, it was a challenge to convince the community to send their daughters to school. 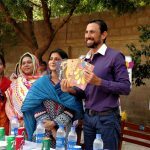 Almost two decades later, the young women who have graduated from TCF Schools in the area are leading the community’s transformation. At a cursory glance, Minhala appears to be a sleepy village, on the outskirts of Lahore, much like any other small village dotting the rural Punjab landscape. Like elsewhere, the unassuming inhabitants of this border town lead quiet lives and struggle to eke out a living. A closer look reveals that despite all odds, they remain undeterred in their quest to achieve more in life through sheer enterprise, resilience and hope for a better future. Hit hard by the pervasive cycle of poverty and unemployment, the pursuit of a better life gets hampered by the absence of quality education and healthcare. 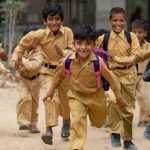 Almost two decades ago, a ray of hope emerged in the form of The Citizens Foundation’s (TCF) first school unit being established in the community. In fact, through its foray into Minhala, TCF initiated its first few school units in Punjab. Insular, and unaccustomed to change, some parents and community elders harboured apprehensions about the school and were reluctant to have their children enrolled. Many others, however, were eager to write a new chapter in their children’s educational journey. Frustrated by the poor quality of education and teacher absenteeism at their local government school, these hopeful parents took TCF up on its promise of a quality education. Later, on their insistence, TCF initiated a Higher Secondary College in 2005 and TCF Degree College for girls in 2010. Today, TCF caters to the local population through 7 school units (4 primary, 2 secondary and 1 higher secondary and degree college for girls). 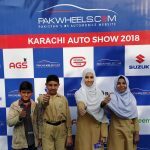 Sadaf Nosheen is one of the girls who completed her Intermediate from TCF College after clearing her Matriculation examination from TCF School with flying colours. 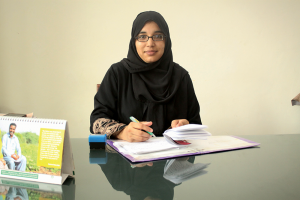 Sadaf’s determination secured her a scholarship at the local Women’s College from where she completed her B.A. in 2009. 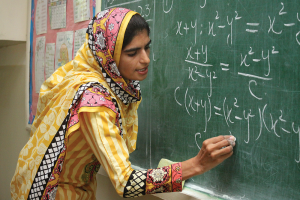 Looking back at her school years, Sadaf says, ‘It hasn’t always been easy. It took quite a bit of convincing to be allowed to go for higher education, but I had always kept my end goal in mind, which made things easier and helped me stay on track.’ After her B.A., Sadaf went back to school, this time, as a teacher at her alma mater. ‘I wanted to give back and play an active role in continuing the mission of TCF; to change our community and empower other young girls’, informs Sadaf. 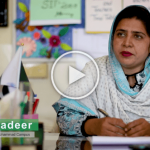 Today, she is the school principal at TCF’s Mobilink-1 Primary School Campus in Minhala and takes great pride in leading the way as an agent of positive change. 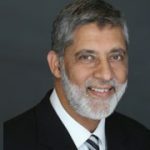 The winds of change sweeping across Minhala soon took the entire community in their fold as initial apprehensions gave way to acceptance and ambition. 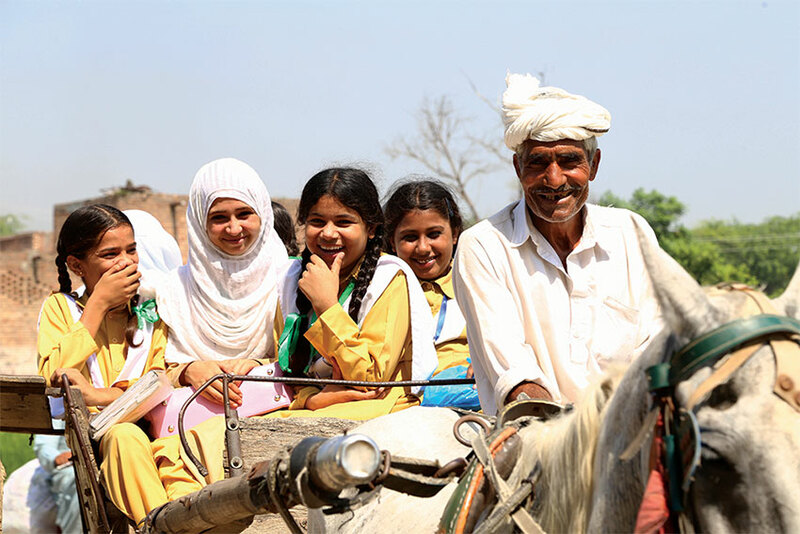 Muhammad Sami, 45, a teacher at the Government Primary School, Minhala, and father of 6 daughters explains how the quick turnaround in community perception materialised: ‘It soon became evident that TCF was living up to its promise of quality education. It was changing the outlook of our children and giving them hope and skills to follow their dreams. Whereas previously they had no motivation to even go to school, our children were now performing exceptionally well academically and their results and overall transformation proved this. Suddenly, everyone in the community and the surrounding villages wanted their kids to be educated at TCF.’ Maliha Sami, one of Muhammad Sami’s daughters and a graduate of TCF’s Shirin Sultan Dossa Campus in Minhala developed a keen interest in Biology at school. ‘I had decided very early on that I want to pursue higher education in medicine and my father also always encouraged me to work hard and achieve my goals.’ Says Maliha. ‘We were ecstatic when I got admitted into GC University, Faisalabad. All my hard work had finally paid off!’ beams Maliha as her proud father nods and smiles. She is currently in her 4th semester of the Bachelors in Eastern Medicine and Surgery (BEMS) Programme of the University. Each new conversation with locals is a reflection of the social evolution taking place in the community; of the almost stubborn desire of community members to fight adversity and change their destiny through the acquisition of knowledge. Javaria Yousaf, 26, exemplifies this mindset. Daughter of a lineman working in WAPDA, with meagre resources, TCF’s affordable education meant that even her father could afford to send his daughter to school. Joining TCF as a little girl in 2nd grade, she cleared her Matriculation with an impressive 82% overall result. There was no looking back from here on. ‘As I performed well and secured good results at every stage of my academics, my family was encouraged to allow me to go for higher education’. Completing her Intermediate and B.Sc. from the Government College for Women, Baghbanpura, Javaria went on to pursue her Master’s degree in Economics, privately, from the Punjab University. ‘I could progress well and transition smoothly to the next level, primarily because of my strong foundation, thanks to TCF’, says Javaria. Now teaching at TCF, she is passionate about transferring the beacon of hope and knowledge to future generations. Securing more than 95% marks in TCF’s internal Teachers’ Competency Test, Javaria was recognised as ‘Teacher of the Year’ in 2012. ‘It’s amazing to see the change in just a few years, since I left school; now that I have come back to teach, the girls are much more inquisitive and well informed,’ informs Javaria. Not one to sit still, Javaria now intends to follow her passion for numbers and pursue her M.Sc. in Mathematics. These stories from Minhala are a testimony to the resilience and endeavour of ordinary Pakistanis. Dispelling popular stereotypes often attached to village folk, the inhabitants of Minhala are actively promoting the change so acutely needed to break the cycle of poverty, illiteracy and unemployment. Perhaps, the sentiment is best expressed in the words of Nabila Mehmood, a senior principal at TCF’s Shirin Sultan Dossa Campus in Minhala: ‘Our village is now a living example of the benefits which education brings about. It has changed the habits, lifestyles and conduct of people in our community. It is amazing to see parents send their kids to school, without discriminating between sons and daughters. Many of these young people are now either coming back to teach or securing employment, both in the village and beyond’. Currently, 894 students are enrolled across TCF’s 7 school units in Minhala of which 576 are girls. 27 TCF graduates have now come back as teachers to sustain the light of education which has immensely enriched their own lives. Aware and enlightened, these young women and their families are breaking barriers, both real and imagined, to forge ahead and achieve their goals. In doing so, they are setting a precedent for women across the rural landscape of Pakistan.